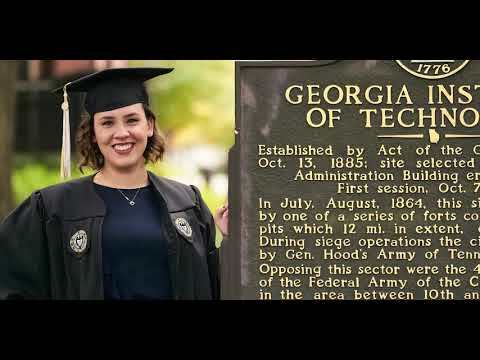 Madison Kelley didn’t plan to come to Georgia Tech – and she didn’t plan to make a career in the nonprofit sector. But the international affairs major from Morganton, Georgia, is happy to have found both. Her maternal grandfather’s brother and cousin both went to Georgia Tech, and her paternal grandmother’s brother, John W. Crenshaw, was once director of the School of Biology — so she had some knowledge of the Institute but no immediate family connection. What Kelley did know is that she wanted a challenging college experience. “I knew Tech would push me, and I would get a really good education out of it,” Kelley said. Her interest in nonprofits was sparked during an introductory international affairs class. “When I learned I could work in nonprofit management and help nonprofits be more effective and use their resources better, I found that really interesting,” she said. Kelley’s first workplace exposure to nonprofits was with the International Rescue Committee’s Atlanta office, which serves nearly 4,000 refugees each year. She gained experience with nonprofit management and followed it up with a second stint with the organization, this time focusing on fundraising. She built on that experience with an internship at the Roots and Wings Foundation, a community foundation in Budapest, Hungary, while studying abroad with the Leadership for Social Good Study Abroad Program this summer. In the fall, she worked as a special events intern with UNICEF USA, which serves as the fundraising arm for the global organization. Now, with graduation imminent, Kelley is looking forward to a fulltime gig as donor engagement specialist at the Atlanta Mission. She first learned about the Mission’s work while acting as service chair for her sorority, Alpha Delta Chi, and later helped select the Mission as their main philanthropic beneficiary. With each different experience, her enthusiasm for the work accomplished by nonprofits has been affirmed. Kelley loves the backend of operations — what others might even call the boring parts. As Commencement day approaches, Kelley is excited to share it with her family — especially her grandfather. “He’s the one who always pushed me in school, and we’re really close,” she said. “It will be cool for him to see all the things he poured into me culminating with graduation.” Kelley is also the first woman on her mother’s side of the family to be graduating from college. And though she’ll still be living in Atlanta, she knows she will miss life at Tech.